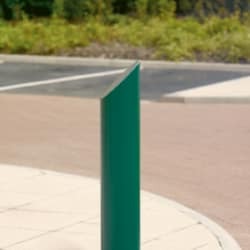 The RB123 Bollard from Rhino is designed to provide effective perimeter security, to demarcate parking areas and to define public walkways. 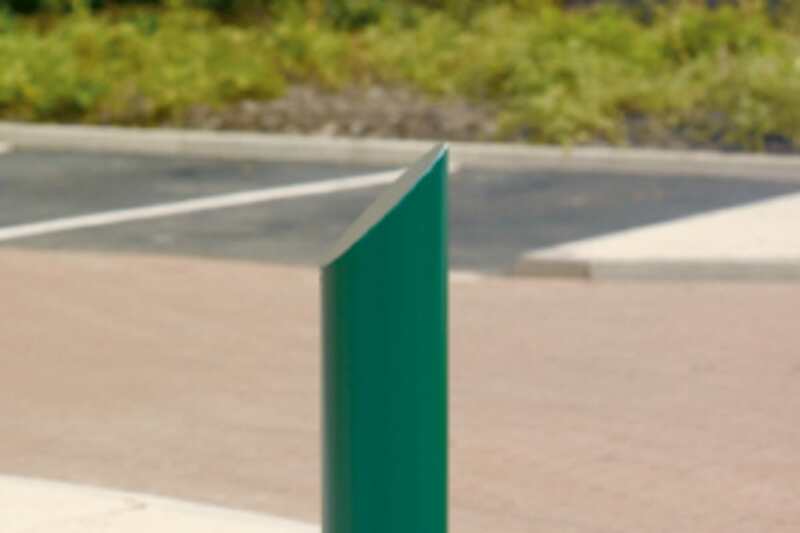 It is manufactured using hot dip galvanised steel for strength and durability and has 2 available versions – standard and anti-ram.The anti-ram model features a steel joist to provide an extra element of strength and resistance against ram-raiders, ensuring vehicles cannot penetrate beyond the bollard. 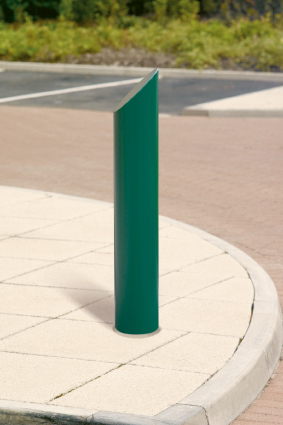 Depending on specific requirements, the bollard can be root fixed, surface mounted or removable for flexibility. Hazard banding in amber, white or red and chain connectors come as add-ons, and a choice of 4 diameters, between 114mm and 194mm, are available. 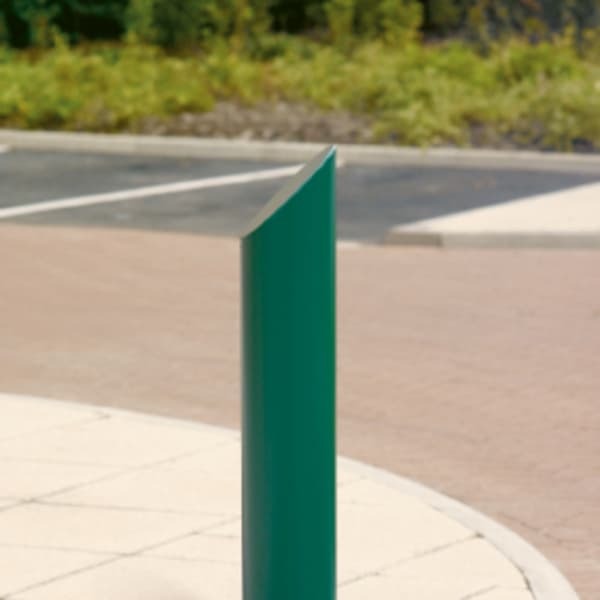 The bollard is also available in a range of RAL colours.